Built in our yard. Delivered to yours...ready to light. Pre-finished and ready to light at delivery, the STONE LIVING outdoor collection allows you to bring your backyard dreams to life in days and without any hassle. There's no installation mess, no contractor scheduling and no disturbance to your yard or garden. All of our outdoor living accessories are finished with the highest quality stone from our STONE HARVEST collection. Choose the stone that fits your style, and enjoy the beauty of Connecticut hillsides at home. We combine a state-of-the-art cutting facility with a team of highly skilled craftsmen to shape each stone into a strong, beautiful finished product. Each STONE LIVING piece is made at the HAYNES stone fabrication yard in Seymour, Connecticut and finished by hand with the stone option of your choice. 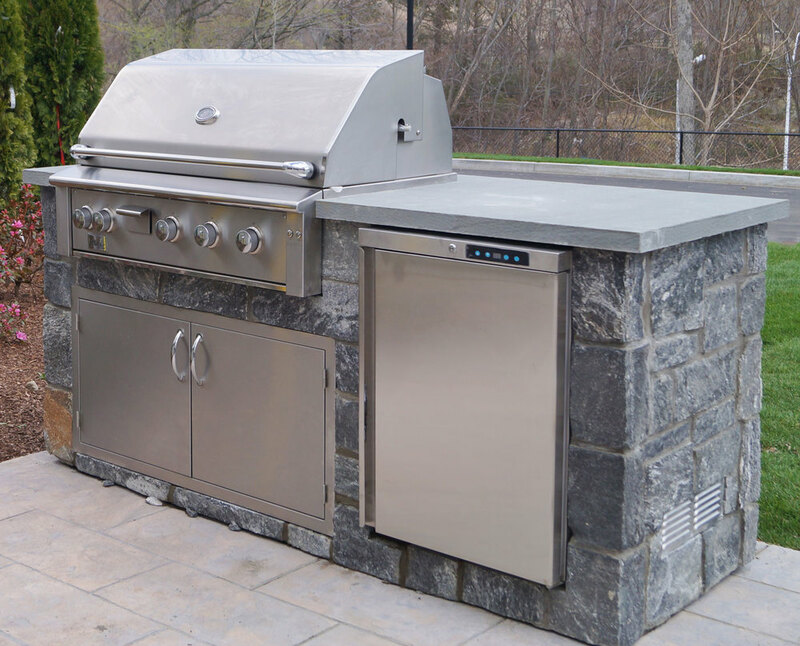 Installation is simple and hassle-free, making it easy for you to get summer started in style and extend every season of outdoor living. With STONE LIVING, you can expect a smooth experience from start to finish. We ensure consistency with our products and attentive service to our customers.